I know I am not really in a position to tell you how SUPER AWESOME these kiddies jackets are because the maker is my mom, but at the same time I have the inside story and speak from experience having loved my jacket to threads. It has taken years to convince my mom that just because my sister, all our friends and I have grown up she should not stop making the jackets that were so adored. I had Bambie with Thumpa, my sister started with the Whale (and a hiding fish inside) that got passed down to my cousin Bryan which then got passed down to my littlest cousin Natalie. Here is a picture of all four of us wearing our jackets. It is not just a family affair because all the kids on the block wanted their own. My mom made loads and there was not one that was the same or one that went unloved. They were a huge hit! Instead of working with images like Pokemon, Barbie or Miley Cyrus she works with nursery rhymes, fairy tales and cute creatures such as bunnies, friendly dinosaurs and so on. The idea is for kids to be warm, enjoy the magic of stories that are often today replaced with tv cartoons. Why jackets? My sister never wore a jersey and always took her jackets off no matter how cold it was. My mom, exasperated, made a paddled sleeveless jacket with an elasticated bottom (to keep the warmth in) out of denim (so that it would not show the dirt) with a cute story on the back and on the inside and my sister never took it off. Problem solved. Read more here. Finally my mom has gotten back into sewing (after I broke her sewing machine) and is making jackets again. She has always been a Sub B/Grade 2 teacher and is now a headmistress of a primary school. This is away for her to enjoy the kids she so loved again – the jackets are fun, worn to be had fun in and they are her fun, hence the name. 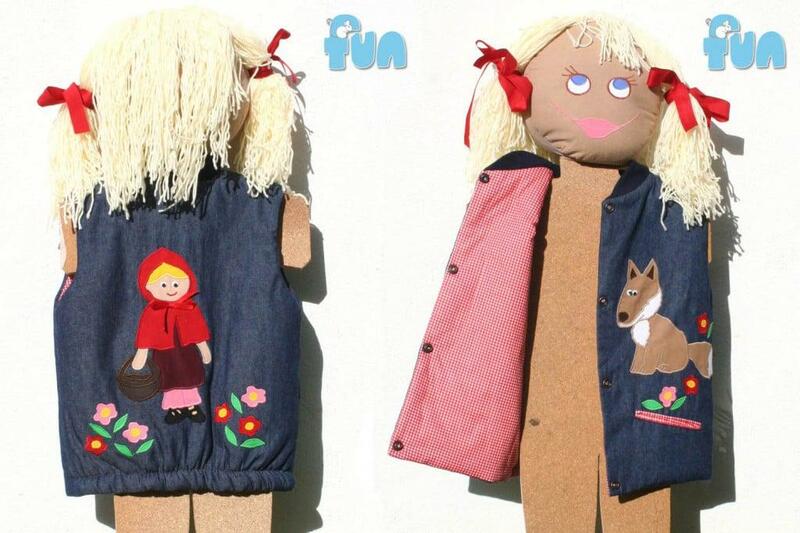 This entry was posted in Blog and tagged children, clothing, cute jacket, denim, denim jackets, fairy tales, fun, kiddies jackets, kids jackets, nursery rhymes, toddlers. Wow! Those are adorable! My mom hasn’t been able to keep sewing since she began teaching, no time! But she’s taught me & my brother well, because now the two of us sew! If I had a child, I’d get one of those jackets! 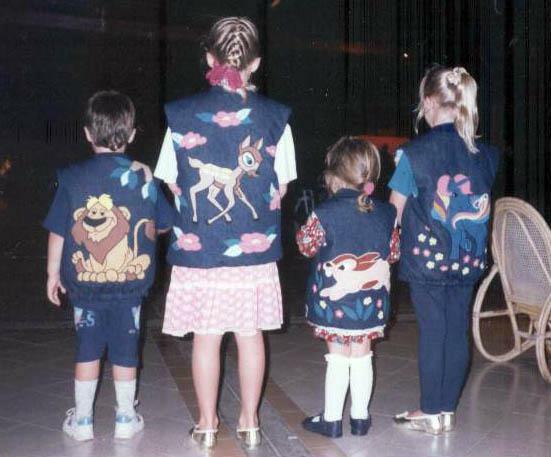 Wow…what for wonderful jackets!Fantastic work and cute motifs!So sweet! What a really cool idea. That was very clever of your mom. I’m hoping your sister wears jackets now. Hope you are well!